At the SXSW Film and Interactive festival over the weekend, Marvel took the wraps off of several new digital initiatives during the company’s panel. Among the items highlighted were new content that will tie the company’s film, animation, comics, and web programming together with reality programming, news and documentaries. 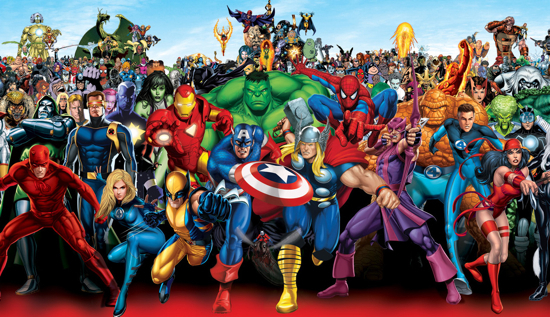 All of these will be anchored by the newly announced program Marvel’s Earth’s Mightiest Show, a weekly pop culture program covering all-things Marvel and the world. Former G4 star Blair Butler will host the show, which will cover movies, comics, video games, and television with celebrity interviews and first looks at upcoming Marvel Studios films. So yeah, you know that’s gonna be amazing. To see just how amazing, check out the preview for the show after the break. In addition, the company also announced it is offering free downloads of more than 700 first issues of many of the company’s favorite superhero comics at no charge. The promotion began Sunday and runs until 11 p.m. ET on Tuesday. Historic issues based on classic characters in the Marvel Universe including Spider-Man and Iron Man will be available, as well as contemporary titles like Civil War and Astonishing X-Men.